Getting enough sleep is an under-valued but crucial part of learning. Contrary to students' belief that staying up all night to cram for an exam will lead to higher scores, truth is, the need for a good night's rest is even more important than finishing homework or studying for a test. "Although the researchers expected that extra hours of studying that ate into sleep time might create problems in terms of students' understanding of what they were taught in class, they were surprised to find that diminishing sleep in order to study was actually associated with doing more poorly on a test, quiz, or homework," Science Daily wrote. "Reduced sleep ... accounts for the increase in academic problems that occurs after days of increased studying," said UCLA scientist Andrew Fuligni. "Although these nights of extra studying may seem necessary, they can come at a cost." In another study by a research team at the University of York, researchers found that sleep even helps boost language acquisition skills in young children. "Children's ability to recall and recognize new words improved approximately 12 hours after training, but only if sleep occurs," said Dr. Lisa Henderson, a lead researcher on the study. "The key effects were maintained one week later, suggesting that these new words are retained in long-term memory." The study, published in Developmental Science, shows that when they sleep enough, children show the same learning patterns as adults. 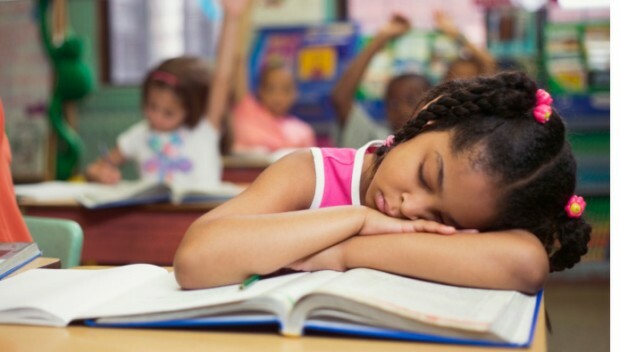 Yet even with the well-documented evidence that sleep is necessary to learning, students continue to face increasing demands on their time. Kids often participate in extracurricular activities as well as hours of homework each night. What’s really happening during sleep? Sleep happens in several stages, with each phase serving a particular purpose. The human body takes care of its physical needs first. Quickly passing through stages one and two, which are brief, the body settles into several hours of stage three and four sleep. During these stages, neurons in the brain have synchronized into a regular rhythm and the body begins to repair itself. The immune system is restored, muscles and cardiovascular systems are rejuvenated and the positive effects on metabolism and muscle growth from exercise take effect. “The reason to get a good night’s sleep is really so you can enjoy the next day and so you can consolidate what you did the day before,” said Dr. Matt Carter, senior fellow at the University of Washington in a recent webinar. Towards the end of a typical six- to eight-hour night of sleep, the brain gets its chance at rejuvenation, during Rapid Eye Movement (REM) sleep. This is the stage that's crucial for learners because the brain solidifies all that was taken in the day before and clears out old, unnecessary memories to make room for new information. “In REM sleep your brain is basically replaying everything that happened during the day and consolidating what you’ve learned,” Carter said. During the learning process, the brain’s synapses fire in particular patterns. At night, those patterns are firing over and over again, strengthening the path. Equally important, there are many small details the brain remembers from the previous day that it won’t need. During REM sleep the brain purges the unnecessary details to make room for new learning the following day. “If you didn’t get a good night’s sleep it’s really hard to learn new things because you didn’t clear out all the synaptic connections,” said Carter. The brain-rejuvenating functions happen in REM sleep, a later sleep stage, so if a student doesn’t sleep enough he won’t spend much time in REM. Just as with adults, sleep-deprived kids won't be able to focus as well, and over time, the effects of sleep deprivation will wear on the body. Educator Madeline Levine and author of Teach Your Children Well says high schools should adjust their schedules to meet the needs of adolescents. School should start at 10 a.m. to help ensure high school students get the nine hours they need. That would go a long way in helping them to focus in class and could even prevent depression, a condition increasingly linked to lack of sleep. And it’s not just about the number of hours in bed – it’s about the quality of sleep. “Sleep is something you can prepare for and be deliberate about,” Carter said, adding that people assume sleep comes naturally to kids. But for young ones, it’s especially important to establish a routine, not to eat carbohydrates before sleep, and to avoid bright screens before bed -- the glow biologically resets circadian rhythms that respond to how much light enters the eye. For kids who have trouble falling asleep, parents should teach them relaxation techniques like taking deep breaths and listening to slow tempo music – that helps the neurons fall into their synchronized pattern quicker.